We are searching for a self-motivated sous chef to help lead our culinary staff for our wedding and event business! This is a great opportunity to be in charge of a modern, well-equipped kitchen with an attached event space that seats 250 and that handles a wide array of events. 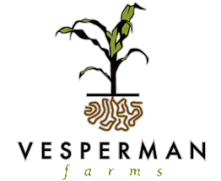 The Sous Chef/Kitchen Manager oversees overall kitchen operation for the events, programs, and weddings held at Vesperman Farms. The person in this position is responsible for the ordering, preparation, service, and quality of all food and beverage responsibilities; will assist in the management of a team of 5-30 employees; and will maintain relationships with current and prospective Farm guests, suppliers, vendors, and others serving the farm. Order food and beverage supplies from vendors and maintain appropriate stock levels for events. Rotate and keep inventory on all food and beverage stock. Complete proper menu planning and food preparation for each event. Standardize recipes, ensure product yields are accurately costed, and consistently review costing and product quantity information to maintain portion control and minimize waste. Interact with the many visitors on the farm: open to feedback on product quality and service levels and incorporate that feedback to improve service; respond to guest requests and occasional complaints; and keep proper records of service for future reference. Manage kitchen staff fairly and encourage and model a positive, motivated attitude. Assist the General Manager in financial budgets and goals. Complete weekly work schedules Farm for staff. Provide positive feedback and training opportunities to Farm staff by providing timely feedback and identifying areas of growth and development among staff members. Ensure all kitchen staff adheres to the professional attire and workplace safety rules of the Farm and that all kitchen equipment is clean and well maintained. Maintain proper records of operations manuals, company policies, and food safety procedures. If you're interested in working for us, complete and submit the form below!